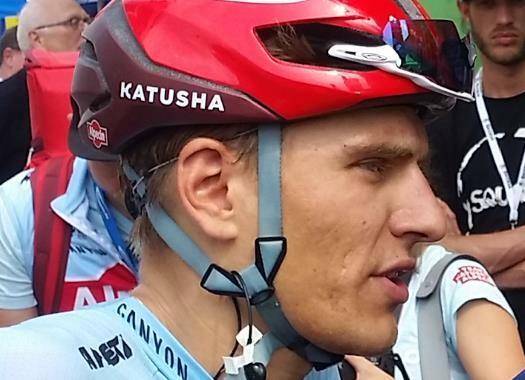 Katusha Alpecin's Marcel Kittel has taken the victory on the last day of the Challenge Mallorca. The German rider beat Timothy Dupont (Wanty-Gobert) and Hugo Hofstetter (Cofidis) at the finish line. The Trofeo Palma was 159.6 kilometres long and included a climb at 40 kilometres from the end. Kittel did a recon of that ascent several days, including one four days ago because he knew it would be important to survive it if he wanted to fight for the final victory. "I am very, very happy. This is more than just winning a stage here, it is also a little comeback after last year", said the rider. "In the last few days, I could feel that my legs were good and I’m very happy that I could give this victory to my teammates as well as the confidence it gives to me at the start of the season. "It’s very important. The team protected me so well. They all stayed with me during the difficult climb and I’m very happy." Katusha Alpecin had a tactic that worked out perfectly well. "During the training camp we did this climb and then Marcel came alone four days ago to do it again," explained performance manager Erik Zabel. "I think it was important that he had the confidence that he could do it. Before dinner last night we had a short meeting and asked him how he felt. He was very optimistic, and this morning too. So we asked the climbers to stay close to him on the climb to protect him and bring him over the climb. The team worked so well together, and in the end, he did a great sprint." This victory is important for Kittel as it comes after a struggle with health issues in 2018 that forced him to drop from the Tour de France, the Binck Bank Tour and the Tour of Germany. Before today's win, the rider's last taste of success was in the sixth stage of the 2018 Tirreno-Adriatico.